“Hunting Magic” – After taking Kambo, tribe members were able to hunt fearlessly, with more energy and focus. They believed that Kambo cleansed and strengthened the minds and bodies of hunters. Medicine – Kambo has been used to treat Malaria, snake bites, fever, and various infections. Lifting “Panema,” or dark/negative energy – When Panema is cleared, obstacles are removed and life flows more naturally. Traditionally, there are stories of Kambo being used for fertility, sexual attraction, and good fortune. The earliest Western observations of Kambo came in 1925, when a French priest was staying with the Kaxinawa tribe in Northwest Brazil. 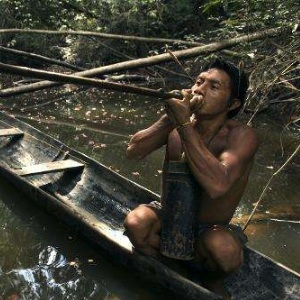 In the 1980s, Kambo gained notoriety when an American Anthropologist described its use by the Mayoruna tribe in Brazil. Shortly thereafter, an American journalist wrote about Kambo use with the Matses tribe in Peru. In the 1990s, Francisco Gomez from Cruzeiro do Sol (Western Brazil) brought Kambo outside of the Amazon, and it quickly spread to the larger cities of Brazil. In the 2000s, Kambo has taken off in the rest of the world, now helping people across South America, Europe, North America, Asia, Africa, and Australia. 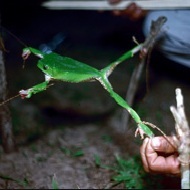 The special tree frog from the Amazon has certainly leapt far and wide in the last 15 years! IAKP frogs are never harmed, killed, or mistreated in any way. The harvesting is gentle, leaving each frog with plenty of secretion to defend itself. IAKP frogs are never poked or prodded to take extra secretions. IAKP harvesting is sustainable. A straw string is wrapped around each frog’s leg during milking, leaving a tiny white line on the leg for 2-3 months. That frog will not be used again until the line fades. IAKP frogs are treated with respect. 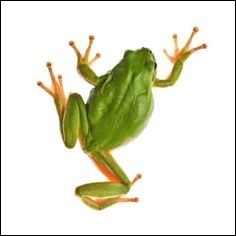 The Matses tribe believes that harming the frog would anger the animal spirits they live so closely with. 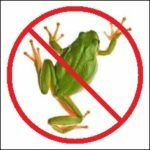 For this reason, their frogs are treated with utmost care throughout the entire harvesting process. Science has shown that the Kambo secretion has a unique and complex blend of Bioactive Peptides. The beneficial nature of these peptides has led to over 70 patents being lodged by scientists and pharmaceutical companies, all in the hope that they can replicate the benefits of Kambo. So what is a peptide? A peptide is a short chain of amino acids, that when bonded performs a function in the human body. Insulin, Oxytocin, Growth hormone, Antibiotics, and Enzymes are all examples of peptides. Peptides affect mood, energy, cognitive reasoning, blood sugar, digestion, blood pressure and immune system regulation. They can help with inflammation and even stop the growth of microorganisms in the body. What makes Kambo peptides special? Kambo contains Bioactive Peptides, which means that each one performs a specific and beneficial function in the human body. Most importantly, the peptides in Kambo are completely natural, so the body recognizes them and unlocks cells to the benefits of the medicine. This is not true for pharmaceutical drugs, which often have to break into cells – generally leaving behind a residue and causing some stress in the body. Kambo is a natural substance that the human body recognizes, so it’s receptive to the medicine with no stress to the cells. Kambo even helps clean out the residue left by drugs. Phyllocaerulein – a neuropeptide (a special type of peptide that helps neurons communicate in the brain) that reduces blood pressure, modifies satiety (stomach fullness), and manages sedation and thermoregulation. It’s also a potent pain killer. Phyllokinin – a peptide that reduces blood pressure in the long-term, and crosses the blood-brain barrier to help take Kambo’s benefits to the brain. Phyllomedusin – a neuropeptide (unique to Kambo) that acts as a powerful vasodilator, widening and relaxing blood vessels, veins, and arteries. Dermorphin – a chain that acts on opioid receptors to reduce pain. It is 30-40 times more potent than morphine. Deltorphin – another peptide that interacts with opioid receptors, showing higher selectivity for them than any compound known to man. There are 2 Deltorphins in Kambo, adding to its pain-killing properties. Dermaseptin – a peptide with potent antimicrobial effects against bacteria, yeast, fungi, protozoa, and even enveloped viruses. Adenoregulin – a peptide that has been shown to be very effective in killing cancer cells, effectively turning off their fuel supply. Tryptophyllin – a peptide that been shown to be highly potent against the yeast Candida Albicans. Phyllolitorin, [Leu8] Phyllolitorin, Rohdei-Litorin – 3 neuropeptides that stimulate gastric acid secretion and smooth muscle contraction. From this list, you can see why Kambo has been so beneficial to people looking to manage pain and illness, and why it differs from any other medicine in the world! 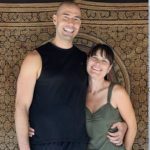 Kambo treatments are held in a “Circle,” which is a space set up for the process of clearing physical and emotional blocks during your ceremony. Great care is taken to ensure the Kambo Circle is safe, welcoming, clean and energetically balanced. All ceremony participants and circle spaces will be ‘smudged’ with Sage and/or Palo Santo, two medicinal plants that are burned to cleanse and protect. Kambo ceremonies may be in a 1-on-1 or group setting. They begin with prayers to open the space, focus the mind and welcome everyone to the healing of the sacred medicine. 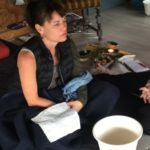 Each participant will have a private consultation regarding their treatment and intentions, and there will be time to answer any questions you might have. We will develop a specific treatment based on your intention, goals, physical/emotional condition and previous experience with Kambo. We will then go into detail about what you can expect during and after your Kambo treatment. 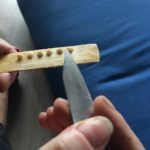 When it is your turn to receive Kambo, a series of small burns (the size of the tip of an incense stick; about 3-5mm in diameter) will be made on your skin. 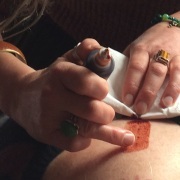 The purpose of these burns is to allow the medicine direct access to your lymphatic system. Only the top surface layer of skin is removed and no blood is drawn. The location of these burns will be based on the type of treatment with consideration for tattoos, aesthetics and scars. The burning process is quick, just a split second per point, and we take care to make sure the pain is as minimal as possible. In the 15 minutes leading up to the application of Kambo you will drink ~1.5 liters of water to aid in the removal of toxins. 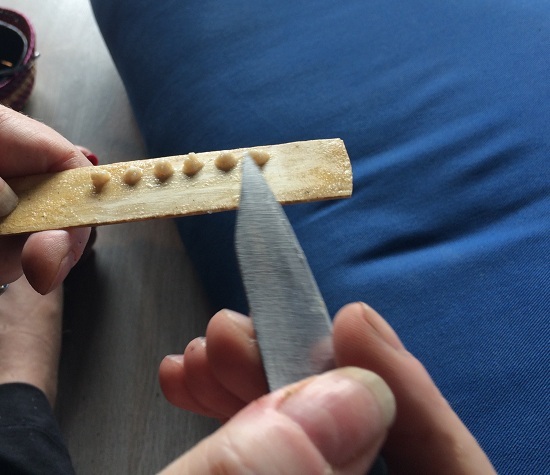 At this point in your treatment we prepare the Kambo by adding water to the dried secretion, which is then scraped and formed into ~5 mm balls (known as Kambo “dots”). If it is your 1st Kambo treatment, or you’ve had Kambo before but taken some time off, you will receive a test point. A single Kambo dot is placed on 1 of the burn points and your reaction to the medicine will be observed with careful attention given to your breathing, heart rate, blood pressure and skin reaction. Assuming the test point goes well the rest of your remaining points will be added and your full treatment will commence. 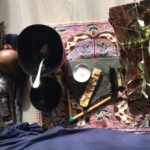 Kambo songs, rattles and drums may be used to aid in the removal of blockages and guide the energy of the healing process. The healing properties of sound and vibration are well-known and used throughout cultures the world over. Rapé (pronounced ‘hapay’) may be used during your treatment to aid the purging process and to clear blockages. Rapé is a medicinal snuff made from a mixture of tree ash, tobacco, herbs, spices, bark, roots and flowers. There are many different varieties available, each with unique effects on the body, emotions and spirit. We will use one called Parika, which is particularly helpful in inducing purge. Rapé is widely used among many different tribes throughout Brazil and Peru. 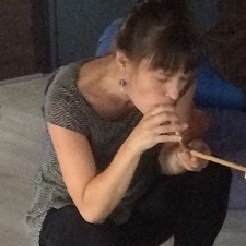 It is blown into both nostrils through a pipe called a Tepi, and is said to connect us to the spirits of the forest and the power of the god of creation. To only receive Rapé in one nostril would leave a person imbalanced and out of harmony with nature. Sananga is a traditional eye medicine made from the shredded roots of a shrub called Tabernaemontana Undulata. The eye drops have been used for thousands of years by the tribes of the upper Amazon to heal on physical, spiritual and energetic levels. It is said to clear Panema (negative energy), depression and psychosomatic ailments. Physically, it cleans and refreshes the eyes and has been traditionally used to treat glaucoma, cataracts, astigmatism, conjunctivitis, dry/red eyes, eye infections, sinusitis and chronic headaches. It immediately improves visual perception and would be helpful to hunters spotting animals in the dense, dark jungle. On an energetic level, it is used to open the third eye, cleanse the aura and balance the chakras. Sananga may be offered after your Kambo treatment to support the clearing process. The Kambo experience can be uncomfortable and is known as an ‘active’ healing process. It is a difficult but potentially more rewarding method of healing compared to most ‘passive’ pharmaceutical treatments. Plus, it has no negative side-effects! While the medicine is working its way through your body it is quite common to feel a temporary worsening of symptoms. You may also feel Kambo’s innate intelligence as it goes directly to the areas of your body and mind that need attention. Kambo’s peptides have a powerful effect on the body, and the first 20-60 minutes of a session may be intense. You will be guided to use your breath and posture to cope with and get the most out of your treatment. Most Kambo treatments last 20-40 minutes, during which most clients vomit out the toxins, mucous and waste cleared by the medicine. Bile often comes up with the purge as the liver and gallbladder flush waste out of your body. It is also common to need the bathroom during and after the ceremony as Kambo rapidly clears out toxins. Kambo is a very powerful medicine. Be sure to read, “Who Should NOT Take Kambo” It is completely safe when used properly and under the guidance of a qualified practitioner. It may be a difficult process to endure, but many people find this a small price to pay for the relief they feel in the long run. After the effects of Kambo subside (usually within 20-60 minutes) you will be encouraged to rest and given some light, nourishing food. This is your time to recover and integrate the healing effects of the medicine. You are welcome to write in a journal, talk quietly about your treatment, or just relax and nap. We will treat your burns with a traditional antiseptic and analgesic liquid called Sangre de Drago, which creates a natural bandage, speeds healing and reduces scarring. We strongly recommend that our clients keep the rest of their day free after treatment. Many people report an increase in energy and clarity of mind after receiving Kambo. Still, this is not the time to jump back to work, go to the gym, or stimulate the mind and body with a lot of activity or interaction. It is important to allow yourself time to rest and integrate your healing. Healthy food and drink are encouraged in the hours and days after Kambo. Some clients may feel a temporary worsening of symptoms following Kambo treatment. It is normal to feel emotional and physical issues quite strongly as they surface for clearing. For this reason, we advise clients to have support systems (friends, family and therapists) around them to help with what arises. The end goal is to let these blockages move out, thus leaving you with more energy, vitality and clarity. Your Kambo treatment is a completely individual process, so everyone’s results will be different. Many people find relief from their symptoms in the near and long term, finally moving past conditions and ailments that have plagued them for years. What Conditions Can Kambo Treat? Who Should NOT Take Kambo? With serious heart problems (heart surgery, valve replacement, fluid around heart, pacemaker) *Note: Kambo is OK for people with stents, arrhythmia and murmurs. On medication for low blood pressure *Note: Kambo is OK for people with low blood pressure, as long as they’re not on medication for it. With serious mental health problems (Schizophrenia, Borderline Personality Disorder, Psychosis, Disassociative Disorder, Serious Bipolar) *Note: Kambo is OK for people suffering from depression and anxiety. Still have questions? Check out our FAQ page or Contact Us with any other questions you might have. We look forward to hearing from you!